I'm on my way. As is usually the case, it seemed eons away until I finally got in a taxi, headed to the airport and left on my big adventure. As I type this I'm on a Airbus A330. It's an outbound plane, heading west at 578mph and benefiting from a 111mph tail wind at 11,323m. It's certainly very chilly outside and there are just 1,339 miles left to run. We should be there in 2 hours and 45 minutes. I'm writing this because I'm bored. Right now the flight information display in the seat-back in front of me pretty much tells me that we're going very fast, faster than expected, and there even so, I'm not there yet. So, I'm typing. This little net-book is just about perfect for the job at the minute. I'd be kind of lost without something to write on and watch mindless telly on. It's also with me because I wanted somewhere to dump video. Editing or even reviewing video from the GoPro Hero wouldn't be an option with this thing though. Shame really. Meanwhile, I'm writing literally because I've nothing better to do and I'm no good at sleeping on planes and may as well start some sort of a journey log. To be fair, it's all been very uneventful. I got in a taxi this morning and left my family behind. 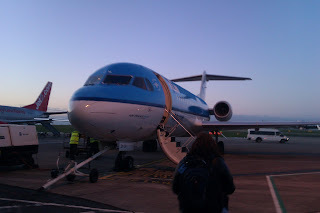 At the airport, it took a while to check in because the 'system's down,' and then the flight out to Amsterdam was a little late because they had to de-ice the wings (that was fun to watch). I was looking forward to that flight because I'd never been on a Fokker 70 before and like to add different planes to my list of 'Done That.' It was very uneventful, quiet and comfortable thus doesn't make the top 5. Sorry. This Airbus A330 I'm on now made a right racket on starting the engines but is very tidy and spacious within. Still nothing exciting. Not sure anything is going to knock the Egyptian Dash 7 and RAF Tristar off their joint first place position any time soon. Fatigue is my main worry in life right now. I got maybe 4 hours sleep last night and the previous four nights were no better. Now I'm failing to sleep on the flight out to a trip that will almost certainly prove to be the most exhausting road trip since I did Padderborn, Calais, Dover, London, Leeds and then all the way back in 52 hours on my Kawasaki 550. Dan will be meeting me at the airport when I arrive, or perhaps on the road outside. Then we're going back to meet the bikes and get some sleep. I'm going to need that sleep and think it shouldn't be a problem as my jet lag will have me way past bed time. 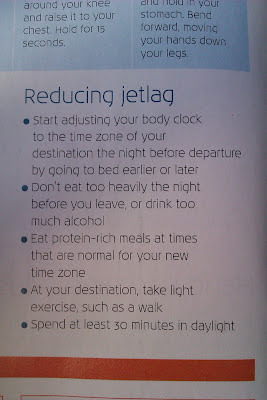 Unfortunately, it's looking like I did everything wrong for dealing with the jet lag. 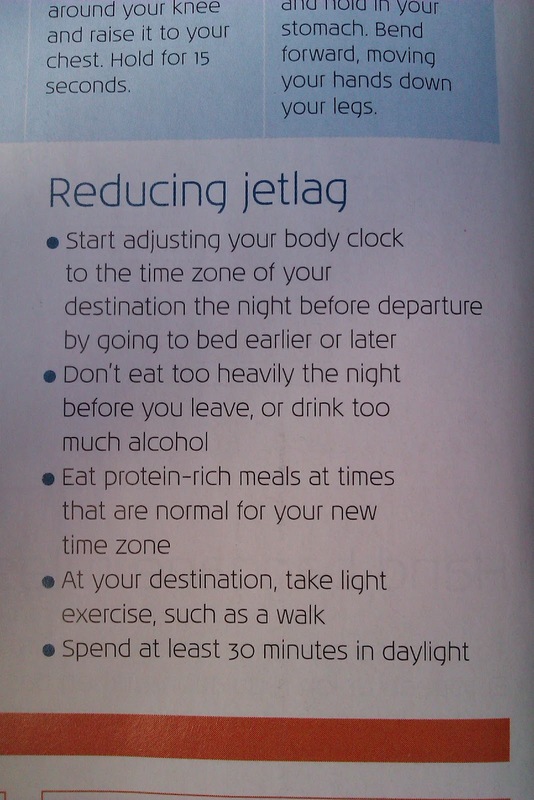 Helpfully, KLM give some helpful hints in their in-flight magazine telling you how you can mitigate the effects. If only they had sent it to my home for perusal before I took Ang out on a date, ate three good courses and drank heartily. Oops. The first day's riding is looking like it will be quite considerable. I've not done anything like the required reading for this trip but Dan mentioned that the Spring weather may make us head south and that would mean getting past New York and Washington DC along with everything in between. That's a full day of riding before it gets interesting (I imagine it wouldn't be hugely interesting anyway). Hopefully after that we will have arrived somewhere worth exploring and taking time over. I would like to be as free and easy as possible. As such, if there is the possiblilty of going north, that's good to and I'm prepared for cold weather riding. My 250 is in the shop at the minute (and is likely to be for the chop), so I have been riding Angie's 125 (which is uber reliable and dirt cheep and only a pain in the backside in a headwind. On Tuesday I was really badly snowed/sleeted on coming home from work. To be fair, the weather forcast was very clear about the probability of snow on higher ground but with highs more akin to summer and the news that hose pipe bans are imminent in parts of the country, I wasn't taking snow seriously. For that reason, when packing my bag, I may have mainly packed cloths for the ride as it would be around Yorkshire, in the snow. After all, it's easy to shed layers or even leave them at Dan's. I'm wearing the only real civvies I am bringing and I will probably treat myself to a new t-shirt or two on the road. So if we were to head north and try to fit in some skying at the same time, I'll cope on the bike. The problem with going somewhere cold is actually down to the fact that camping means cold cold nights and I'm not as prepared for that. In either case, I think it may be sensible to treat us to a hotel for a night at some point. That's where I'm at I guess. The future is an uncertain one in a good way. The only thing I'm sure of is that we're gonna have fun and make memories worth keeping. Ang has insisted I put together a scrap book for the Tom and Beth when I get back. In a way that's what I'm doing now, but not for them. This isn't for anyone really but there are less than two hours left to run and we should be on the ground in Boston. But now, we have a headwind. Oh well.